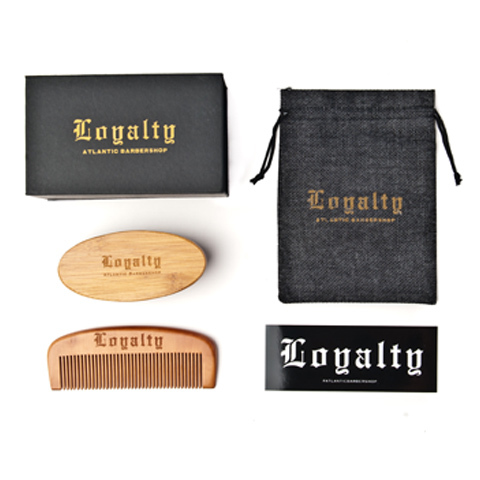 Atlanticbarbershop box , comb and brush beard kit. Limited quantities available!!! Nothing is more attractive than Loyalty. Get yours !! All materials appearing anywhere on atlanticbarbershop.com internet site are the sole property of atlanticbarbershop.com. None of the materials may be copied, reproduced, modified, published, uploaded, posted, transmitted, or distributed in any form or by any means other than as described by atlanticbarbershop.com or with atlanticbarbershop.com's prior written permission. This includes the extraction and / or storage in a retrieval system or including an image or portion of any image in another computer program or work. All rights not expressly granted herein are reserved. Any unauthorized use of the materials appearing on atlanticbarbershop.com's internet site may violate copyright, trademark and other applicable laws and could result in criminal or civil penalties. All materials appearing anywhere on atlanticbarbershop.com internet site are the sole property of . Powered by Blogger.